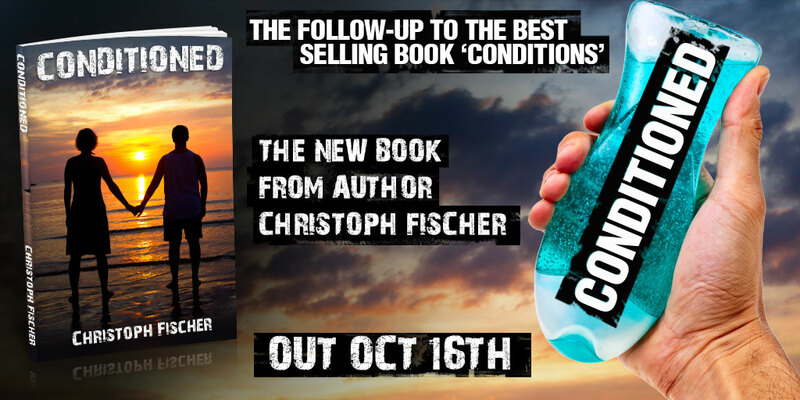 Conditioned by Christoph Fischer is a well-written thought provoking story that does not disappoint. 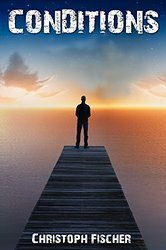 I have been following this author’s works for years and enjoying his stories, including this one that tackles all aspects of the human condition without glossing over. The characters from the prequel, Conditions, are revisited but this time I love how it starts with a wedding invite instead of centering on a death and funeral. The wedding and related events (involving a hospital emergency room and more than one of the plot’s characters) with all the multifaceted relationship issues unfolded at a fast pace making this a very easy engaging read. Without retelling the story let me say this, Fischer can write and tell a compelling story that engages and entertains. This one in particular takes it a step further in getting the reader to think, about tolerance and being judgmental. He challenges us to look at ourselves, beyond the façade of social machinations and opinions that separate and divide, into the depth of our humanness and how we all struggle to overcome the hard situations life throws at us. This story looks at the group of friends and doesn’t bring it to a neat and tidy happy ending for all, and that’s real, it isn’t how life goes. Some of us learn, grow, change, and shine, others continue to act out the same-old, same-old, and don’t seem to ever learn. It’s a really good read that resonates authentic. This is where Fischer shines. 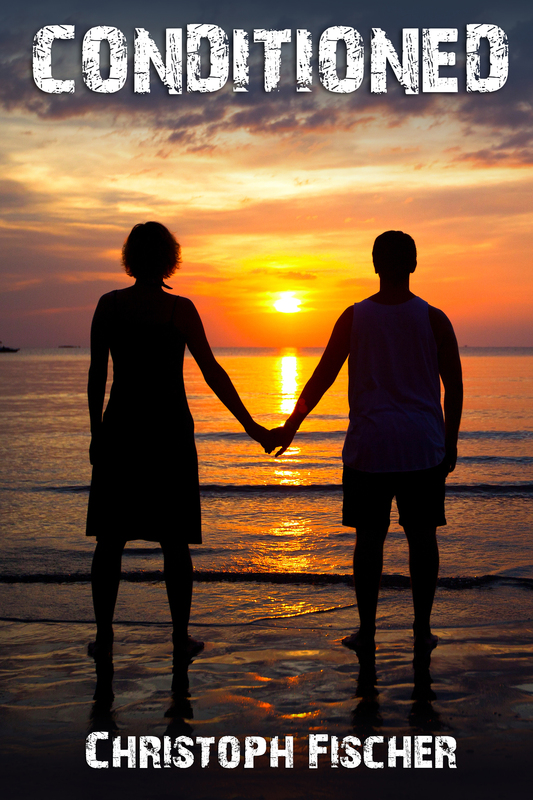 Why #alcoholism #domesticabuse and #codependency ? It would be an exaggeration (maybe) to say I have been through all of those myself. But, it is something I know more about than I would care for. In my youthful, hedonistic days I drank a lot and I saw some close party friends of mine lose control over their drinking and recreational pleasures. 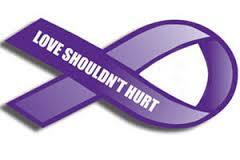 Many also clang on to very unhealthy and literally damaging relationships. I sat with some at lawyers, police stations and A&E, only to see them return to their torturers. I, too, stayed for far too long in one relationship that was, although not physically violent, very volatile and emotionally draining and abusive. Looking back I can see that it could easily have become more destructive had we stayed together. It took me years to recover and to trust people again. I wanted to portray the thought and behaviour patterns that hold people in their self-made prisons, which is why I added some of the characters in the Conditions series. I keep witnessing very bad relationships and have learned just how wide-spread a problem they are. Unless we all speak up and make it part of what is openly discussed and acknowledged, victims of abuse will think they are alone in this and have no hope. Unless we share what we know, witnesses to these relationships will not recognise them for what they are and will not know how to provide help and support. 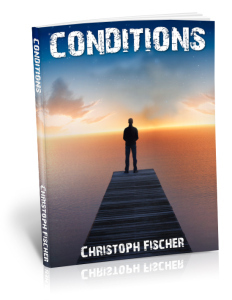 The Conditions Series touches upon those issues (amongst others), hoping to bring them into the mainstream and the wider conscious. Tony has had a tough life. 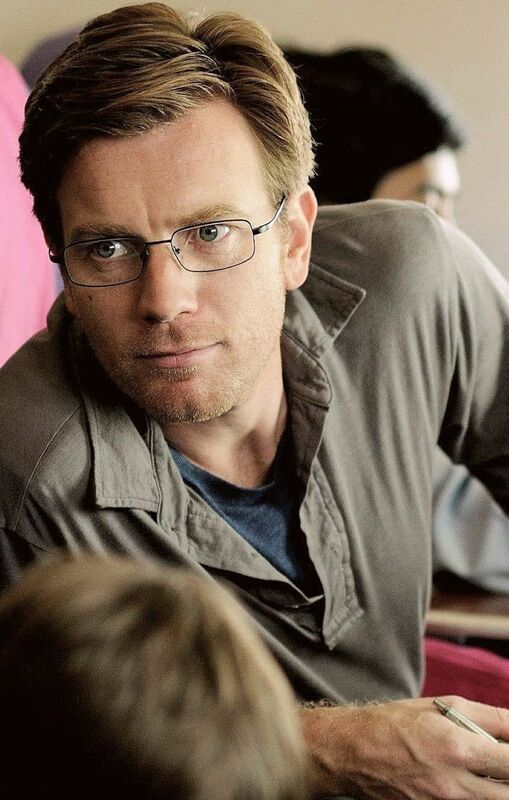 Always missing out and having to make allowances for his ‘artistic’ and ‘sensitive’ brother, he doubted for a long time that Charles truly had a legitimate illness in the first place. He bitterly resented him for having taken up too much of their mother’s attention and resources. To Tony’s straight and narrow mind of building houses and playing football Charles is a self-absorbed chatter-box with no sense of responsibility and awareness of others, and his friends are a bunch of ‘freaks’. What can brothers do when they are like chalk and cheese? He seems to have mended his ways and becomes friendly with his brother’s friends but there still seems to be a hidden agenda. Has this leopard changed his spots? Is he concerned for his brother or is he using this as an excuse to get closer to Catherine, his brother’s attractive best friend? 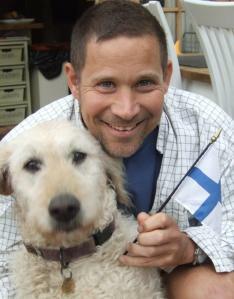 A lot has happened for him since Conditions – find out. Simon hides from the world. Once outgoing and full of spark, life and his girlfriend Tracey have let him down. The latter is even going out with a famous footballer, adding insult to injury. Consequently Simon retreated into a world of self-absorbed introspection. In Conditions he became entangled in Charles’s life and circle of friend almost by accident. Simon is used to avoiding people, but in Conditioned his boss co-erces him into an awkward position that might change all that, however hard Simon tried to avoid it. Once again he is forced to face the outside world, interact with it and, maybe this time, even try and build bridges and get over them? Catherine’s wedding becomes more than a reminder of what he might have had with Tracey. 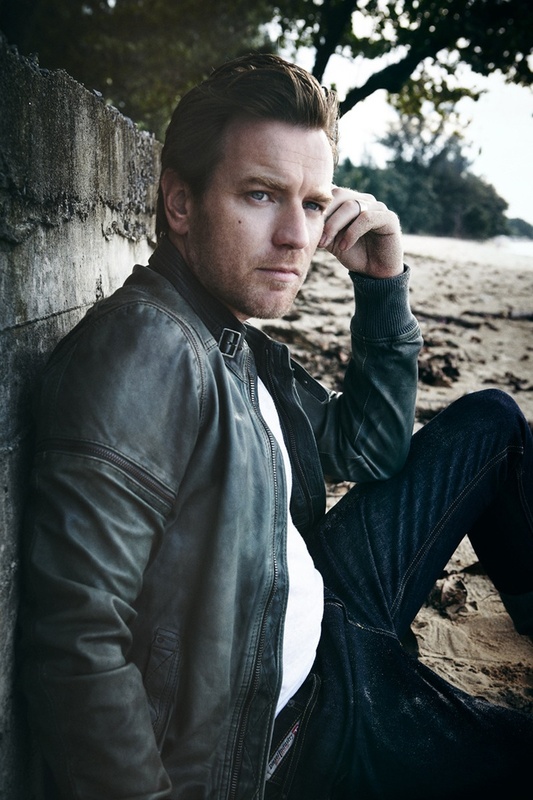 I always pictured Simon a bit like Ewan MacGregor, who can play shy and geeky so well with a good dose of attractiveness. 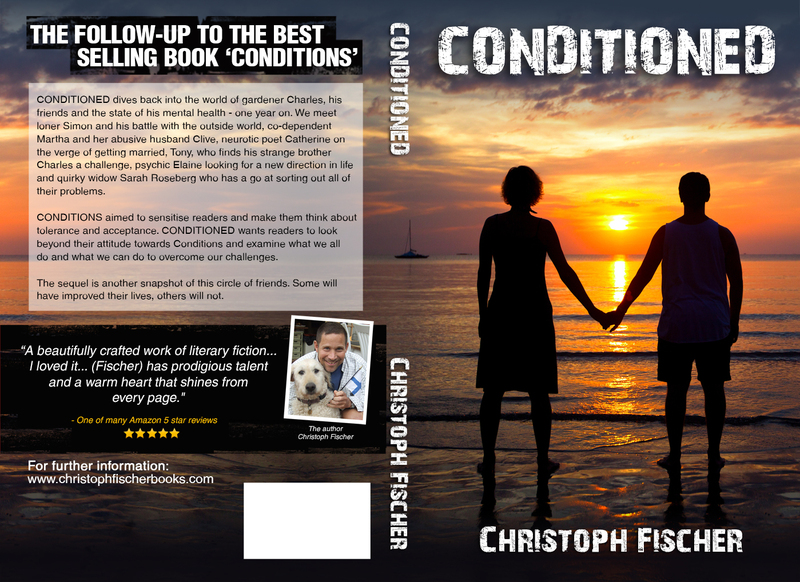 Catherine was a supporting figure in my novel “Conditions” but takes a more central role in CONDITIONED. The novel takes place around her wedding. She once settled for Mister Right instead for Mister Passion and ended up in divorce and with a fear of life on her own. 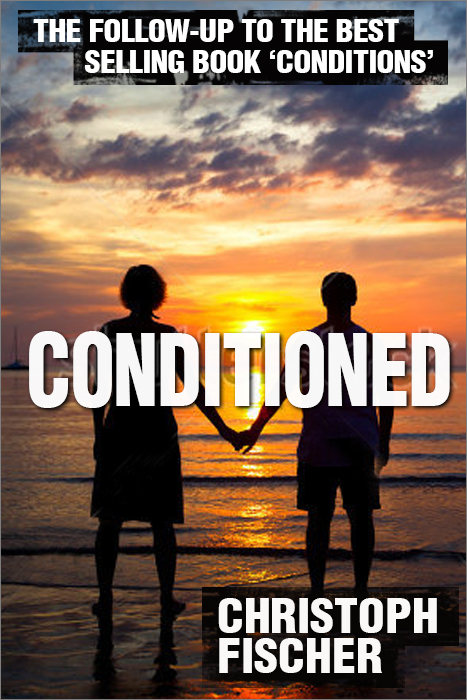 Martha is a petite and fragile woman, a battered wife and borderline alcoholic who shocked her friends when she took her philandering husband back in my novel CONDITIONS. She turned out to be a popular figure with my readers and that warranted her more central role in CONDITIONED. Martha seems in denial of her situation and on a mission to find social acceptance through her (forced) attendance at Catherine’s wedding. 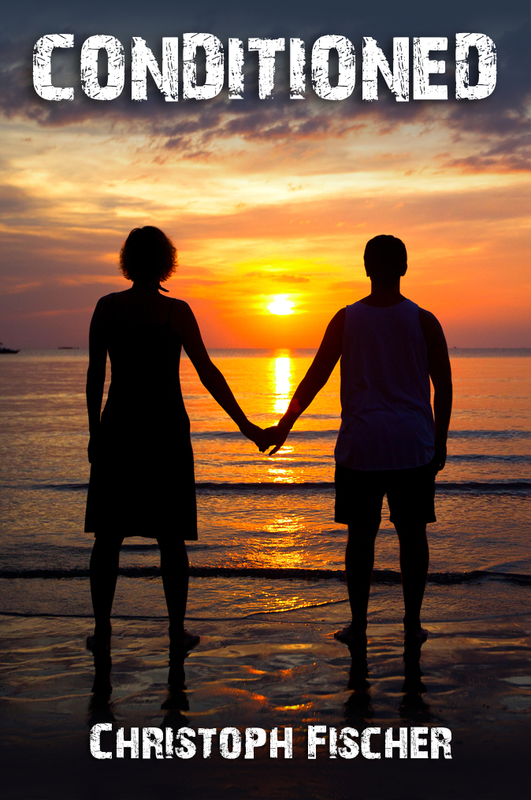 Clive, her husband, has been behaving well and she feels it is time that people moved on from their prejudices and accepted her and her relationship. Does a Leopard like Clive ever change his spots? Can their co-dependent relationship flourish against the odds? Or will she have to break free from her chains?